The Thirty-Fifth Session of the WIPO SCCR commenced on November 13th, 2017 and lasted till November 17th, 2017. The ABU delegation was comprised of Dr. Yan Bo (Deputy Director, Copyright and Legal Affairs Office CCTV-China and Chairperson of ABU IPLC), Masataka Hirano (NHK - Japan), Junko Morinaga (NHK – Japan), Mr. Bulent Husnu Orhun (TRT – Turkey), Mr. Dongchul Ha (KBS – Korea), Mr. Kang (KBS – Korea) and Ms. Seemantani Sharma (ABU Legal and Intellectual Property Services Officer). The SCCR was also attended by representatives from the other sister broadcasting unions such as North American Broadcasters Association (NABA), AUB (African Union of Broadcasters), the European Broadcasting Union (EBU), Association of Commercial Television (ACT), International Association of Broadcasting (IAB) and the Organización de Telecomunicaciones Iberoamericanas (OTI). "Chair, I’m speaking on behalf of the Asia-Pacific Broadcasting Union which represents more than 270 broadcasters in 69 countries of the Asia-Pacific region. Chair, broadcasters in Asia-Pacific region are at par with their Western counterparts. Broadcasters in under-developed, developing and developed countries of the Asia-Pacific region employ the same technology though their scale may vary and by that virtue, they meet the same fate at the hands of pirates. The 35th SCCR was a positive development as many delegations such as Japan, Russia and Chile supported the timely establishment of the Broadcasters Treaty. Further, most importantly the United States which was until the last SCCR blocking the progress of the Treaty played a more constructive role at this SCCR. It is hoped that at the next SCCR, the United States will further support the Treaty. With the help of Mr. Ha from KBS, the ABU was able to convince the Korean delegation to support deferred transmissions. Broadcasters Treaty has been maintained on the agenda of the thirty-sixth session of the SCCR. The next SCCR will take place from May 28 - June 1, 2018. The Thirty – Fourth Session of the WIPO SCCR was opened by Mr. Francis Gurry, WIPO Director General who welcomed the participants. Ms. Michele Woods, Director of the Copyright Law Division of WIPO acted as Secretary. The Committee elected Mr. Daren Tang Heng Shim, Chief Executive of the Intellectual Property Office of Singapore as the Chair and Mr. Karol Koscinski, Director of the Department of Intellectual Property and Media, Ministry of Culture and National Heritage of the Republic of Poland and Mr. Abdoul Aziz Dieng as the Vice – Chairs for the period commencing from the opening of SCCR/34 until the opening of SCCR/38. The first two days and half of the last day of the meeting week deliberated upon the Treaty for the Protection of Broadcasting Organizations while the other days during the week were reserved for limitation and exceptions for libraries and archives and for educational and research institutions and for persons with other disabilities. The SCCR also deliberated upon copyright issues related to the digital environment. The SCCR was preceded by a Conference on Resale Rights which was held on April 28th, 2017 at the WIPO headquarters. The documents related to the Broadcasters Treaty were SCCR/27/2 REV., SCCR/27/6, SCCR/30/5 , SCCR/31/3, SCCR/32/3, SCCR/33/3, SCCR/33/5 and SCCR/34/3 as well as informal charts and non – papers prepared by the outgoing Chair, Mr Martin Moscoso Villacorta of Peru. The SCCR welcomed the revised version of the Revised Consolidated Text on Definitions, Object of Protection, Rights to be Granted and Other Issues (SCCR/34/3). Document SCCR/34/3 was discussed in informal sessions of the Committee where the delegations made comments and proposals. These discussions culminated into a revised document (SCCR/34/4) prepared by the Chairman, with the understanding that SCCR/34/4 was organized into three separate parts for facilitating deliberations, without having any effect on the arrangement. 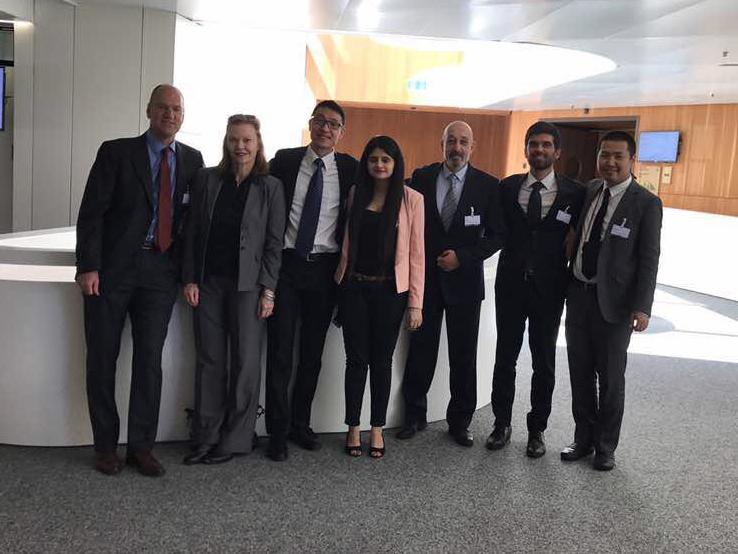 The ABU was represented at the WIPO by Dr. Yan Bo (Deputy Director, Copyright and Legal Affairs Office CCTV – China and Chairperson of ABU IPLC), Masataka Hirano (NHK - Japan), Mr. Bulent Husnu Orhun (TRT – Turkey) and Ms. Seemantani Sharma (ABU Legal and Intellectual Property Services Officer). Throughout the meeting week, the ABU reached out to delegations of the Asia – Pacific Group, Group B, the WIPO Secretariat and the newly elected Chair in order to reach a consensus and for ensuring the timely establishment of the Treaty as proposed by the Hon’ble Delegation of Argentina, Colombia and Mexico (SCCR/33/5). 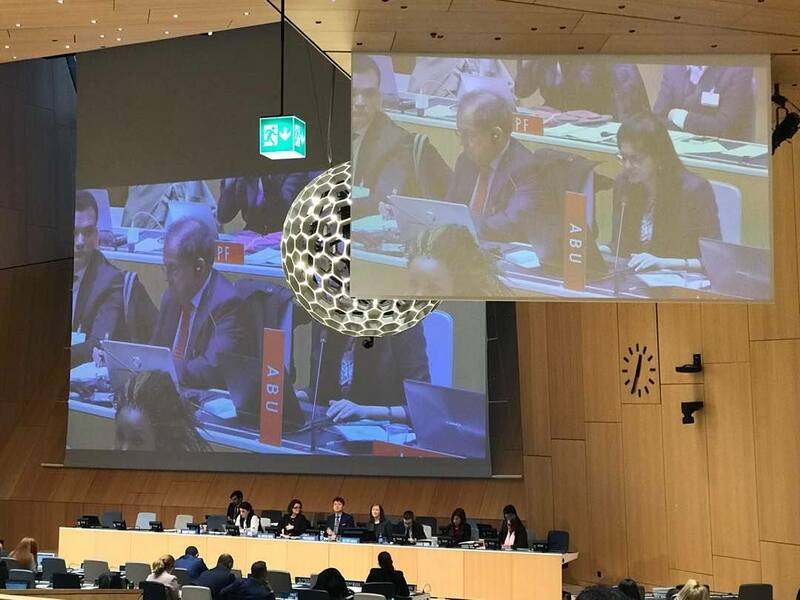 The 34th SCCR made the following recommendation - “The WIPO General Assembly is invited to direct the Committee to continue its work on this agenda item.” The next session of the Committee will take place from November 13th to November 17th, 2017.